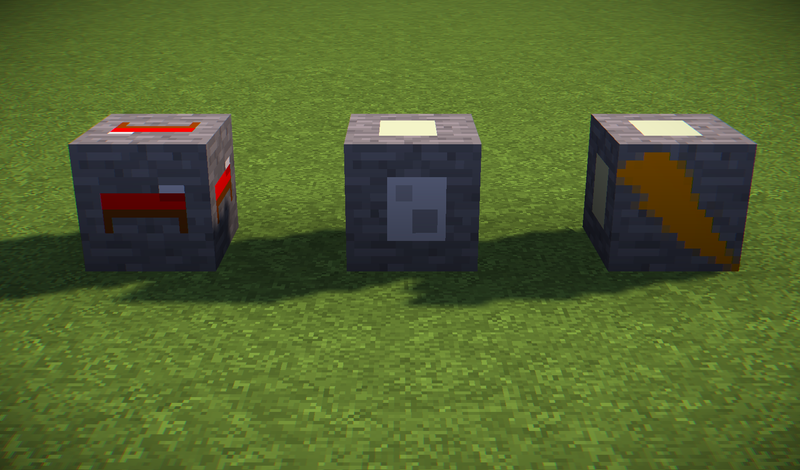 It's the 3 new blocks for new crafting ! Farm Adventure 2.0 is in development ! Farm Adventure is THE mod for a biggest adventure and for explore your world. The mod add many things for your adventures and your expllorations and even more in the version 2.0 ! The mod is in English (Default language) and in French (Fr, Ca, Be, Lu and Ch). Post your ideas, bugs and everything related on the mod on the Official Forum Topic. It's what I'm planning for the future updates. I can change at any time. Question ? Comment ? Say me it in the comments ! Version 2.0 of the mod is there for me to add all the things I should have added in the first version of the mod. I try to release a snapshot a week (Sunday evening, Quebec time). Discover the novelties. And many new things ! Thanks you for downloading and enjoying my mod ! Rubis ore now spawn in Fire Element Dimension, Savanna, Mutated Savanna, Savanna Rock, and Mutated Savanna Rock biomes. Decrease the rate of spawn of Elemental Boss. Way of luck spawn now under the ground. Enter in earth’s dimension, air’s dimension, water’s dimension or fire’s dimension made the game crash. Forge 2.0 didn’t have rotation in inventory. Purple Alien didn’t have a “P” in the name. Almost every texture has been changed for a 32x texture. Emerald Chest has been added in mod. Ultimate Dragonium Tool has been changed for Dragonium Hammer. It is more powerfull and now, it can mine like a hammer, in 3x3x3, but Hammer mine 2 blocks in front of player and one block behind player. Dragonium sword, dragonium bow and dragonium pickaxe have now a 2D textures. Tnt 5x, 20x, 50x, 100x, Zeus tnt, Lava Tnt and Water tnt are now back ! Dragonium Arrow, Anti-Water Magic Power, dragonium rubis and saphir spikes have been removed. Electrozite ore, ingot and electroblock generator have also been removed. New translations for French Canada, French belgique, French Luxembourg and French Suisse. Some translations were missing in French. Enjoy with Farm Adventure, and continu the Adventure ! I wish you a good time with it, and I want your feedback, your opinions, and your suggestions. I have put updates on Curse Forge, but I forgot to put also in MCreator. I go put the next update (1.3) on the page.